The Kerala Council for Historical Research [KCHR] is offering opportunities as Principal Investigators in its various ongoing multi/inter/trans-disciplinary projects. Persons who combine a deep interest in the social sciences, with competence and skills in the appropriate methodology/technology are invited to apply. 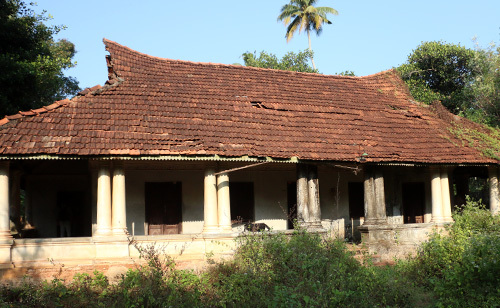 Broadly, the projects would explore, survey, conserve and study the historical heritage of Kerala. Lack of historical awareness and want for training in scientific methods of conservation has left much of Kerala’s tangible resources such as archaeological sites, monuments, artifacts and textual sources in ruins. This story of neglect continues in the case of intangible treasures like memories, traditional knowledge, time-honoured skills and oral traditions. This KCHR initiative aims to engage in multi-disciplinary explorations to ensure scientific protection of our cultural remains from pre-history to the present. By advancing public awareness and appreciation of the historical heritage of the region, it aims to promote excellence and innovation. The aim of this archive is the documentation of facets of contemporary life that are usually left unrecorded or not seen as worthy of documentation. Under this category comes The Kamala Surayya Archive by the KCHR, which attempts to archive lesser known aspects of Kamala’s life, contacts, visits, friendships, meetings, interviews, memories and casual acquaintances. Launched in 2004, The Oral History Project by the KCHR was a campaign to document the life and experiences of marginalized groups like the women, the dalits and the adivasis.This initiative aimed to collect and compile Malayalam proverbs into an encyclopaedia of Malayalam Proverbs. It elicited participatory involvement of Malayali Senior citizens across the world. Upon successful completion of the project, a volume titled Keralathile Pazhanjollukkal carrying 20345 proverbs was published in 2012. Similar kind of campaigns include the one to collect the political slogans of Kerala launched in 2005 and also a documentation exercise to record, ' A day in the life of a Malayali', needs to be mentioned. ‘Charitra-Anweshana Yathrakal’ is a vacation-time History walk programme for school children across the state, organized by KCHR in association with the Department of Public Instruction. In order to acquaint younger generations on the ever-changing dynamics between humankind and nature, a study trip is conducted to a select location. At the onset, a three-kilometer local stretch is identified based on close observation of its natural features. Students will be divided into groups guided either by an informed person or a teacher who will share their expertise, memories and lived experiences. As they embark on this walk, students are expected to explore the environmental and cultural history of the location. They will have to analyze the topography of the land, assess the continuity and change in lifestyles, land use patterns and human ecology over the past sixty years and prepare a study report. ‘Charitra-Anweshana Yathrakal’ aims to cultivate interest in the theme and other significant aspects of local history such as agricultural practices, associated arts and crafts and living memories among school-going youth. This project was born out of the decision to collect, compile comprehend and publish oral articulations of our past, their lived experiences and varied narratives of the Malayali diaspora. KCHR encourages individuals interested in such studies and would also build a resource centre on the theme with online facilities for submission and dissemination. The lived experiences of the first generation Malayali migrants in Germany in the 1960s and 1970s, done under this project and published as 'Malayalikalude German Pravasam'. The Archives of Malayali Family Histories and Biographies is an ongoing local history research initiative. KCHR has a unique collection of Malayali family histories, biographies, grantavaris and nalvazhis. KCHR provides academic assistance for family history research and biography writing. See the website link for a list of the collection. KCHR, in an attempt to conserve the historical heritage of Kerala provides support to various local government institutions academic and organizational support for writing and mapping the local history and cultural heritage of a village/Panchayath/Institution through survey, data collection, analysis, editing and publication.See the website link for a list of the collection. The project aims to document archaeological and historical sites, artifacts and monuments of Kerala in an effort to locate and update existing information on such sites, artifacts and monuments. A comprehensive database will be created for the same. There will be provision for the publication of monographs on the theme. This project plans systematic explorations, (through surface survey and scientific documentation) inside and outside Kerala, in order to link the Pattanam Archaeological records with their contemporary archaeological sites. The venture will be multidisciplinary in nature, taking into account the geological, ecological, archaeological and historical aspects of the region. A project to survey the Cheraman Perumal tomb area (Al Samri Tomb), close to the Al Baleed site in Salalah (Oman) has been proposed to the archaeology authorities in Oman. An attempt to understand the pre-9th century Kerala by locating, documenting and conserving the archaeological, archival, oral and other necessary sources. The project implemented using multi-disciplinary explorations and advanced methods of documentation will be published in the website later. Besides, the numerous projects that KCHR heads, it also offers internship opportunities to Graduates, Post-Graduates and M.Phil students to take part in the above mentioned projects and also in the much popular Pattanam archaeological research. Students from India and abroad can avail the opportunity. Internships would be offered to students after taking into consideration, the inclination and aspiration of the student. The selected students may make the best use of their internship while preparing dissertations as part of their course. The period of internship might range from three weeks to six months and the minimum fee for an Indian student will be Rs.2000 and $300 for a non-resident Indian. See the relevant website links for more details. 2. The skills to prepare through, scientific proposals. 3. The ability to effectively employ scientific methods and skills, and to generate measurable outputs. 4. Organized conception of investigation and its outcome. It is important that all aspects of the project are explored through the employment of multi and interdisciplinary methods. • Applications should include detailed proposal on any of the ongoing KCHR projects listed below or even on a related theme (Heritage conservation proposals other than the ongoing KCHR projects will also be considered). Complete curriculum vitae, a referee panel and relevant testimonials if any are also to be attached. • Ideal proposals should be comprehensive and should mention clearly and specifically the objectives, methodology, time frame, action plan, quantum and schedule of output generation, and budget. Attainable weekly and monthly targets should be set. • The budget should be detailed, cost-effective and realistic. • The referee panel shall include experts or persons with experience from different disciplinary backgrounds. If required, this panel can be involved in the designing and implementation of the project. While drafting the proposal, it is mandatory that at least one/two of the referee panel members are consulted and their names mentioned in the proposal. • For projects that involve fieldwork, the Principal Investigator can work from their field locations. In such cases, the KCHR would appreciate institutional affiliation and the signing of MOUs with LSGs,schools, colleges, university departments etc. in the locality. • A Principal Investigator would be required to report at the KCHR on a monthly basis to submit the research output or meet the coordinators. The proposal period can range from 2 months to 12 months, and is extendable to a maximum of six months. The maximum enumeration for the Principal Investigator will be Rs. 15000/- per month. There is no deadline for submission of applications. However an early submission would enhance your chances since the opportunities are limited. All applications have to be sent to the Director, KCHR, PB No.839, Vyloppilly Samskrithi Bhavan, Nalanda, Thiruvananthapuram – 695003 with an advance email copy. Hard copies need to be sent only if you are requested by the KCHR office. The KCHR also welcomes voluntary participation as Principal Investigators from motivated individuals who can spare quality time and resources for this project. Such persons will also have to submit proposals as detailed above. The KCHR in the past had rewarding experiences with senior citizens and non-resident Keralites as voluntary participants across the world in Charithranweshana Yathrakal, Malayalam Proverb Collection and Study of Malayali Migration and Migrant Communities. We look forward to similar support from all who care for the wellbeing of future generations.